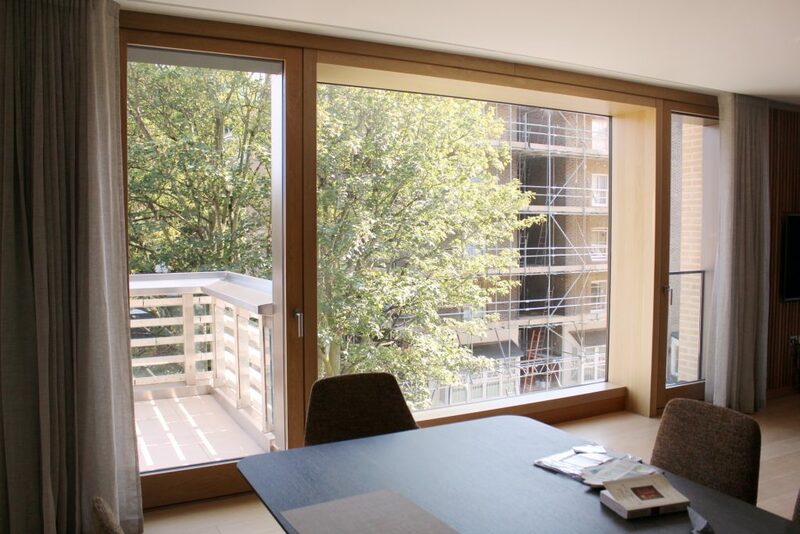 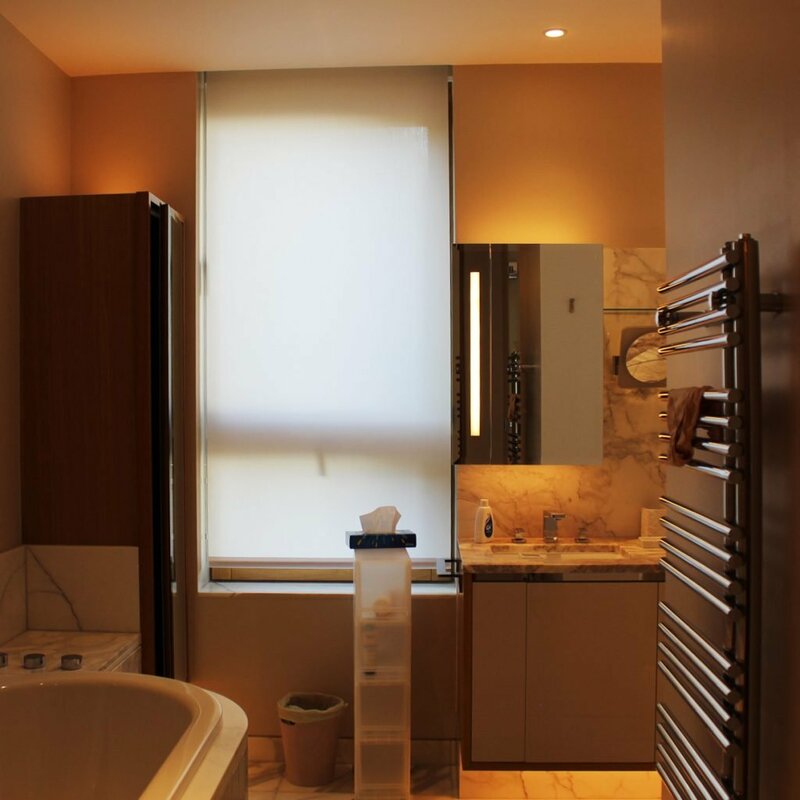 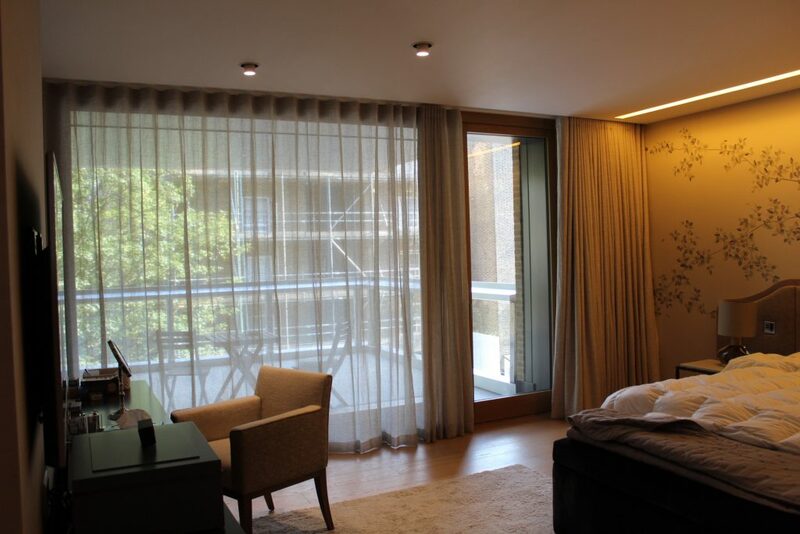 Working in conjunction with an Interior Architect, we were instructed on an installation project at Vicarage Gate House, London. 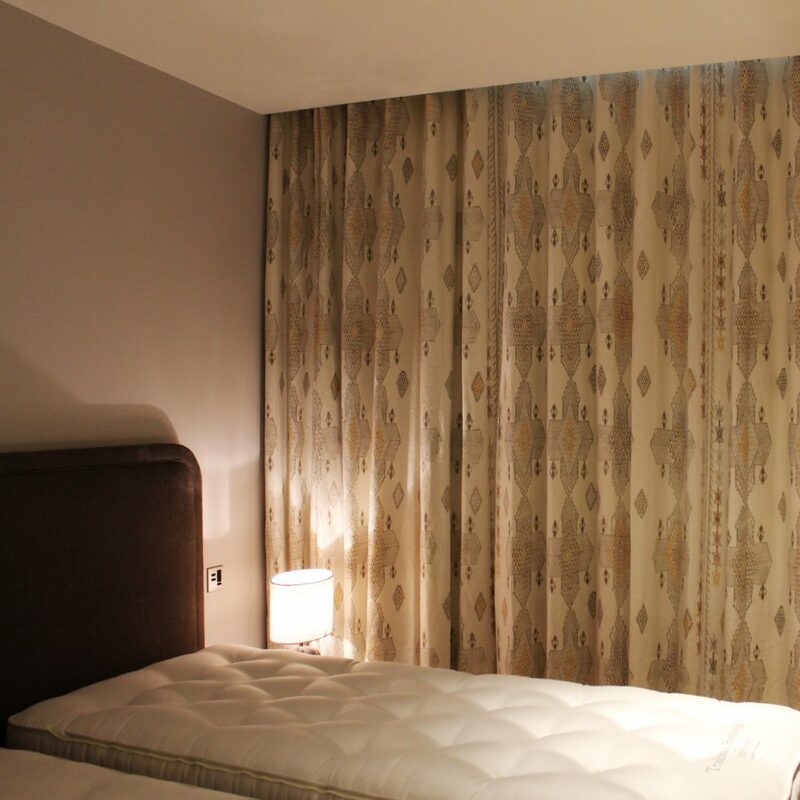 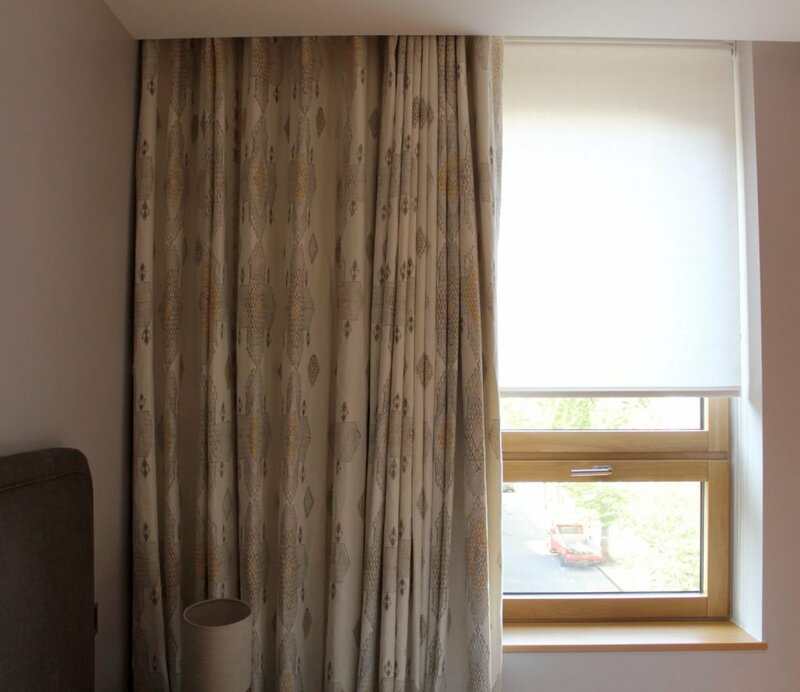 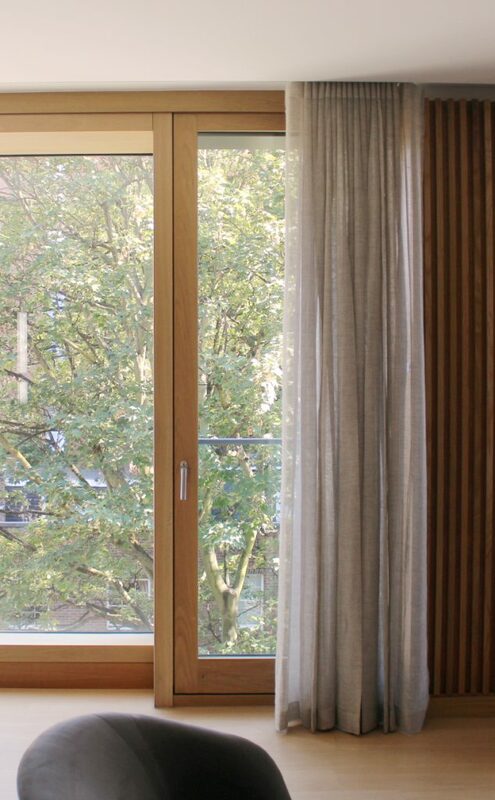 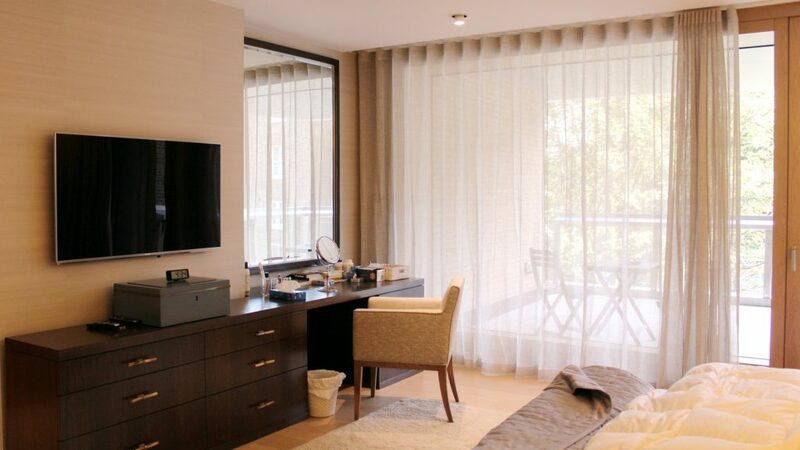 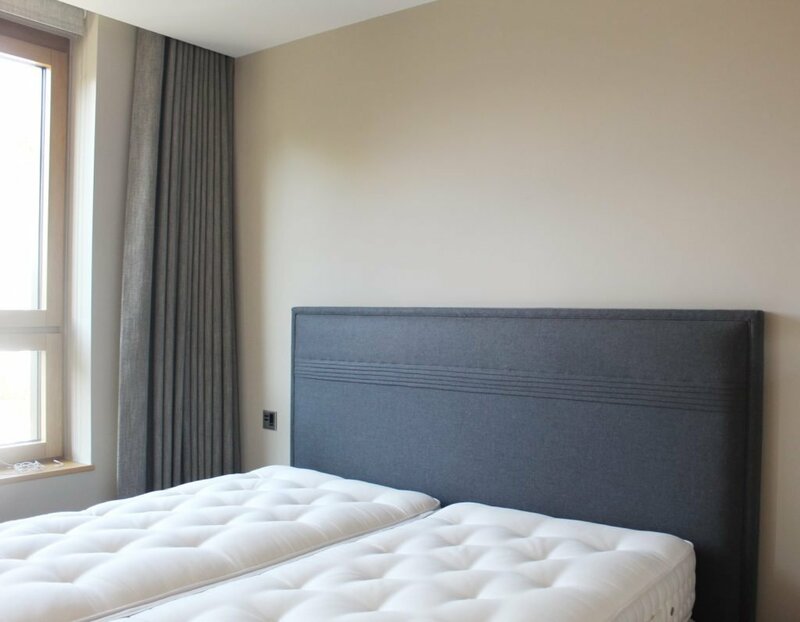 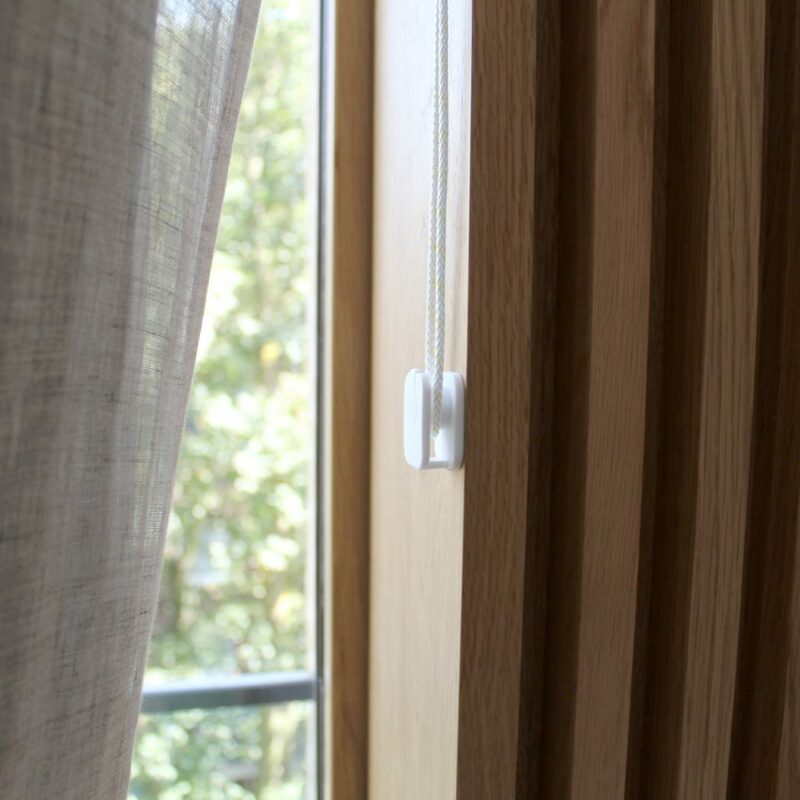 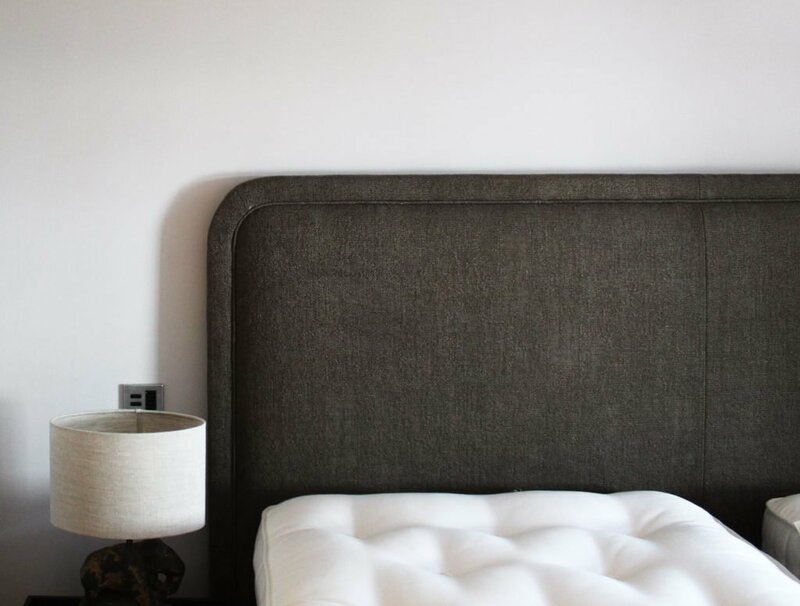 We installed a range of curtains, roller blinds and bespoke upholstered headboards, including a large headboard with integrated power outlets. 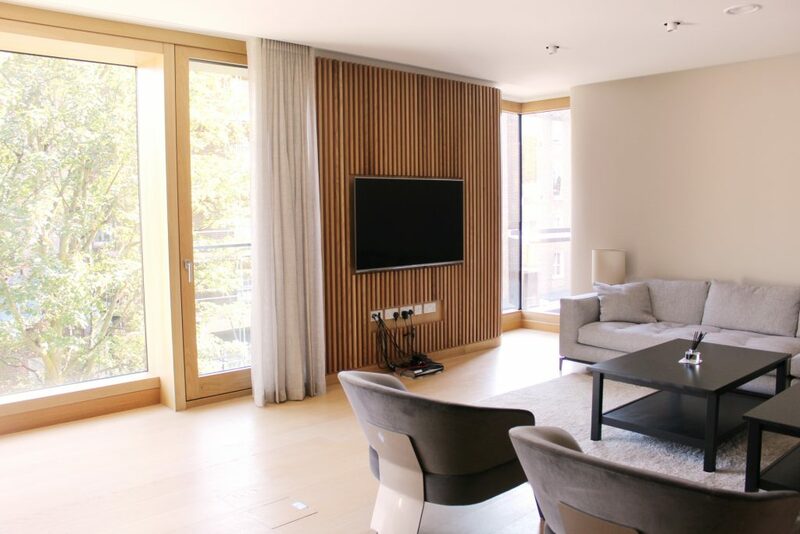 The interiors were mostly made of wooden materials and the lighting had warm tones. 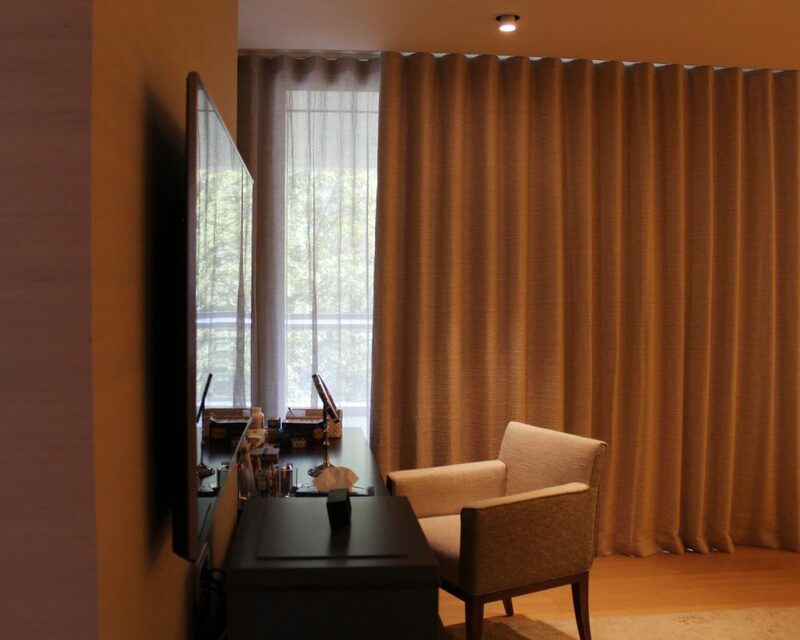 Consequently, our choice of fabrics and colour had to match this ambience. 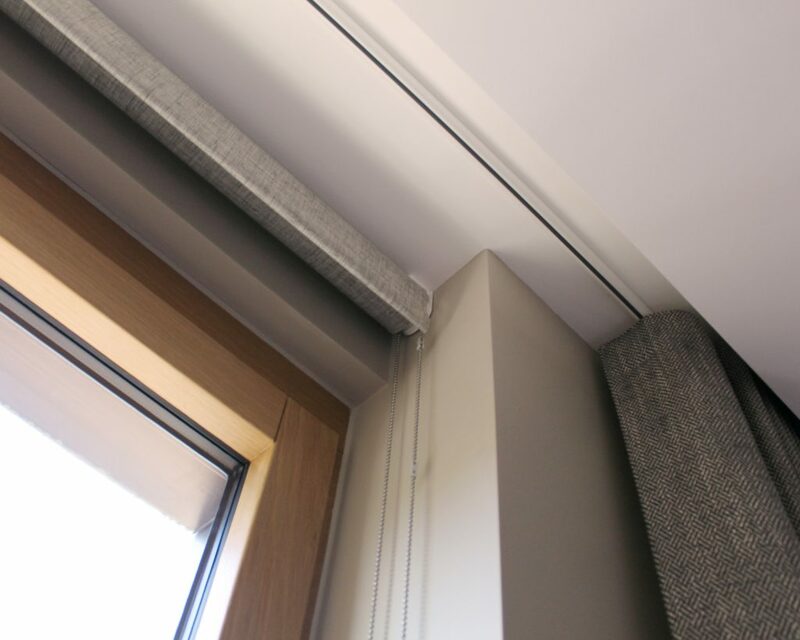 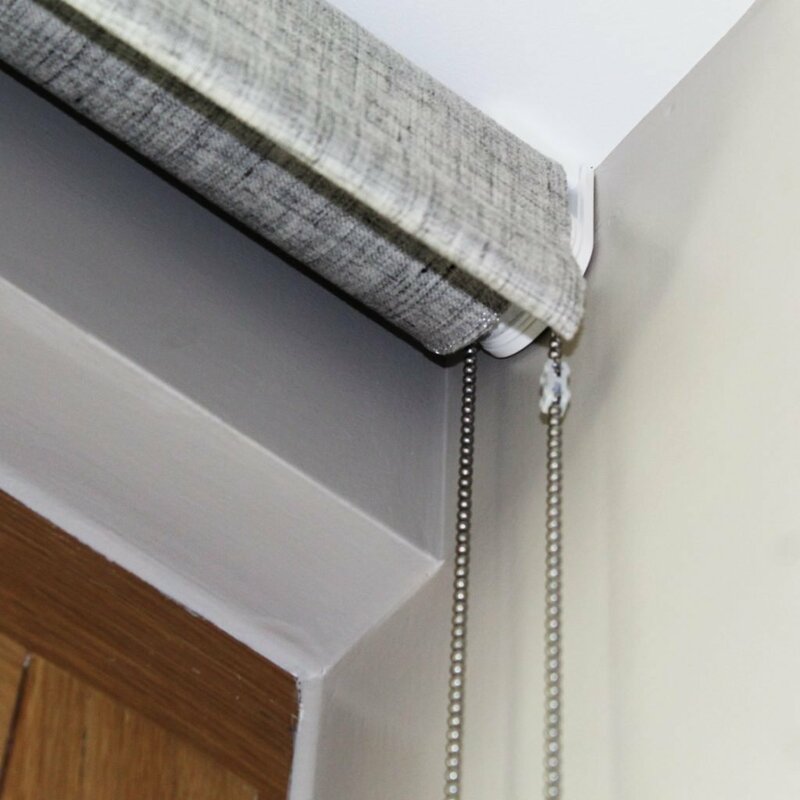 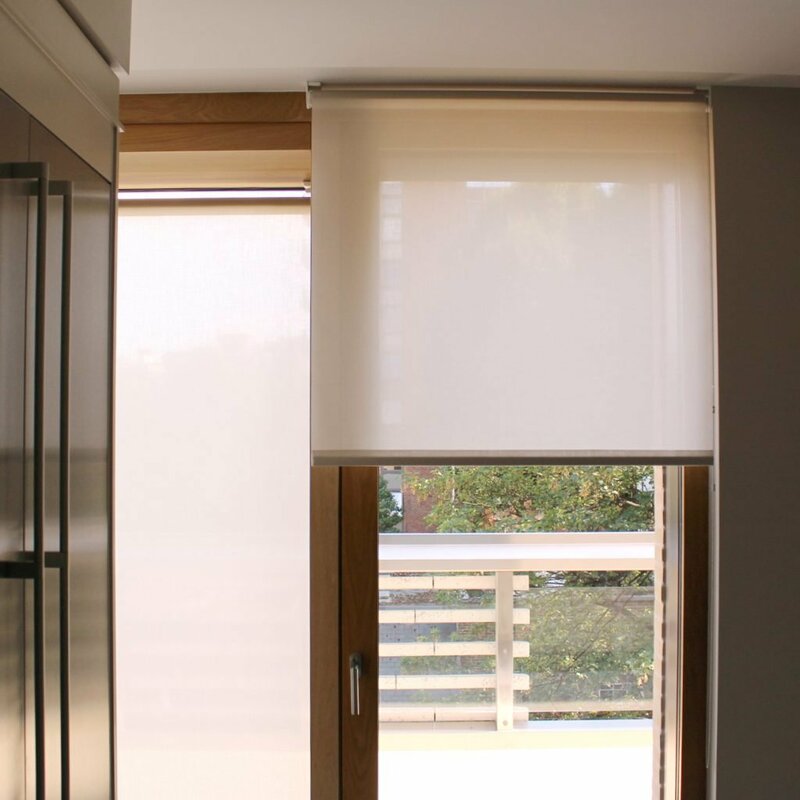 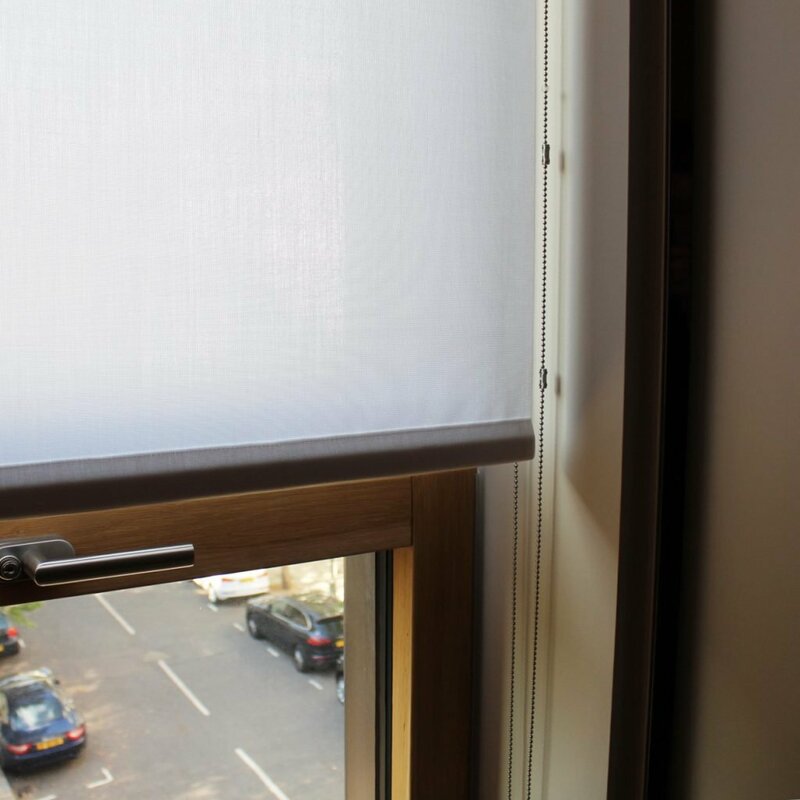 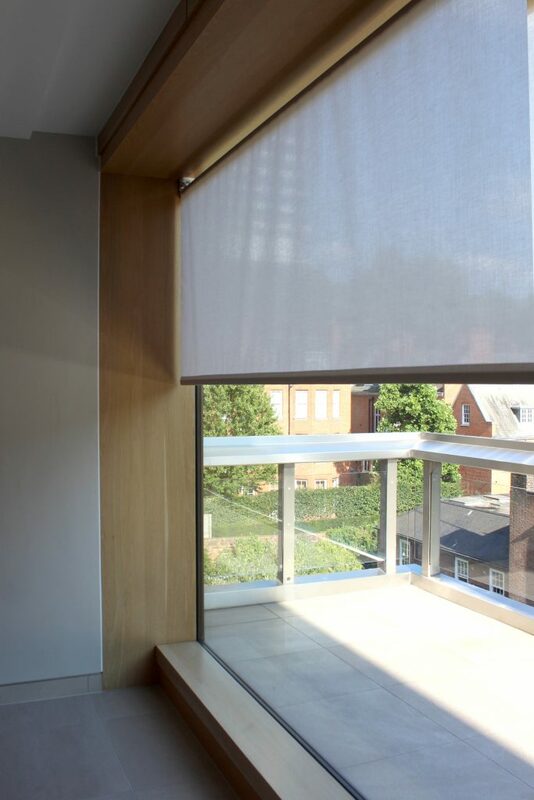 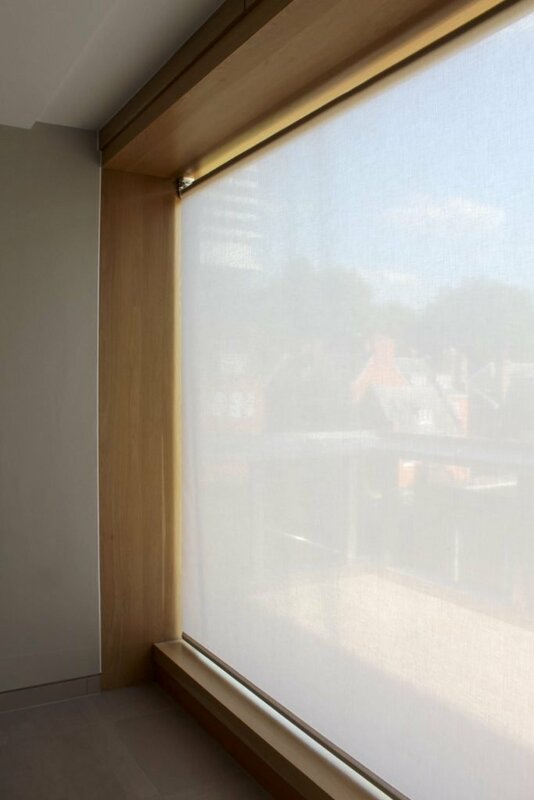 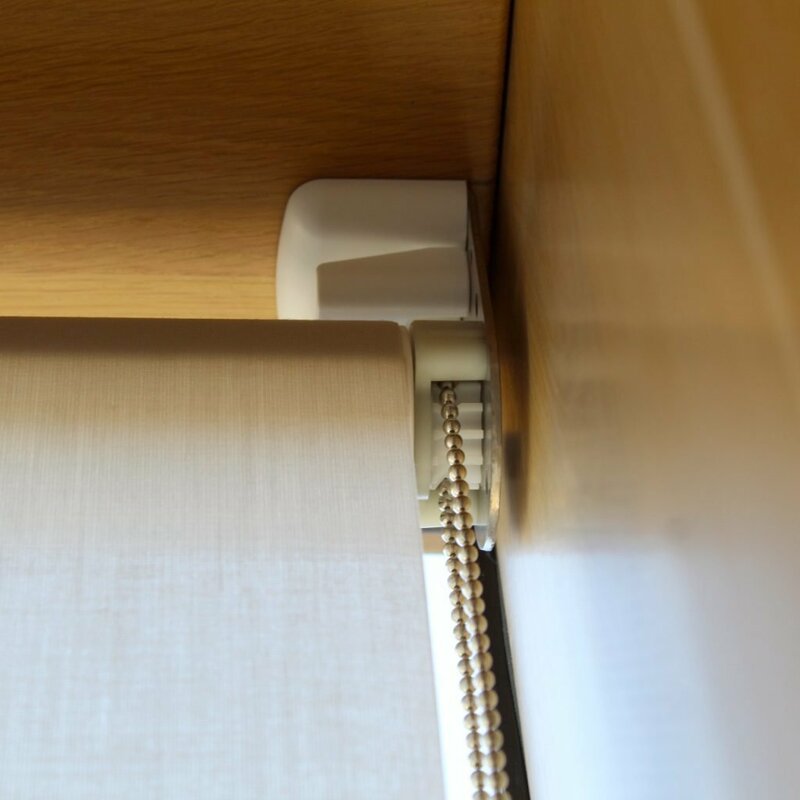 As a result, we used Silent Gliss 4910 Chain Operated Roller Blinds with laminated fabric covers, using Lizzo Menes Fabric. 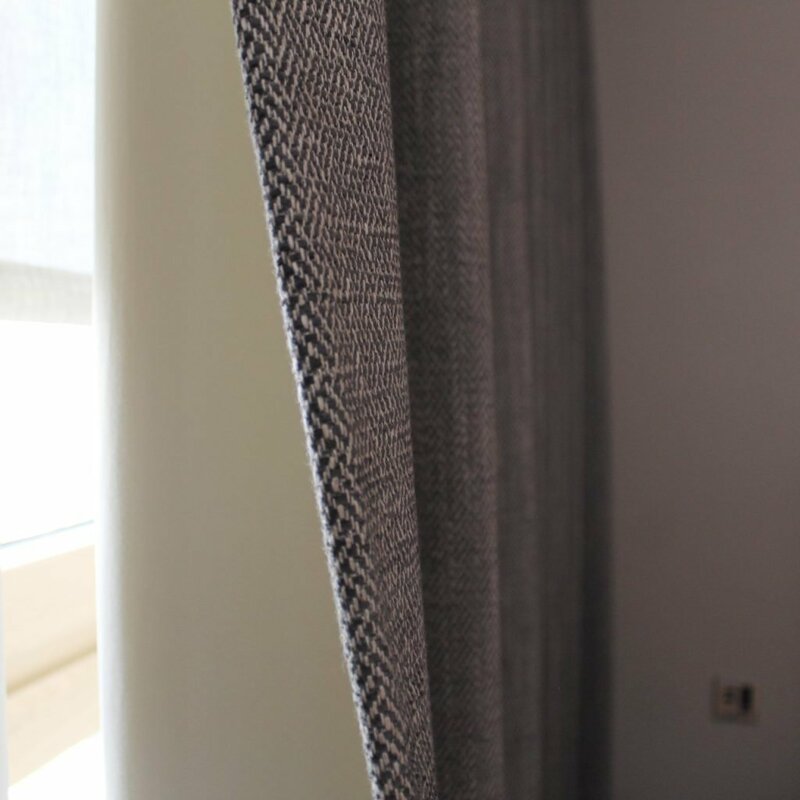 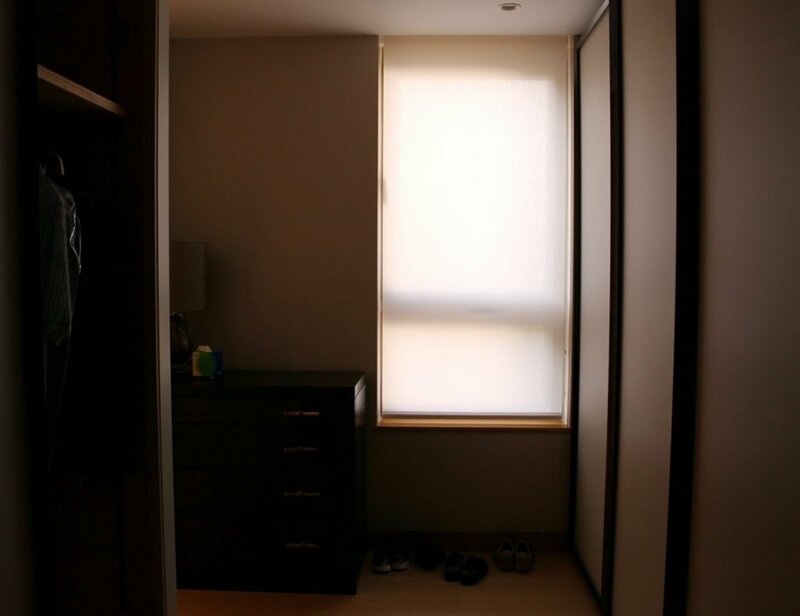 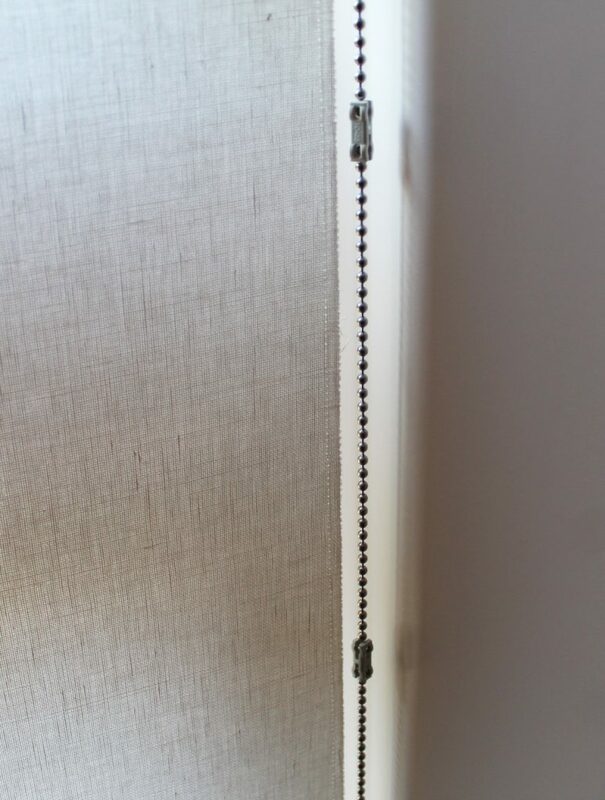 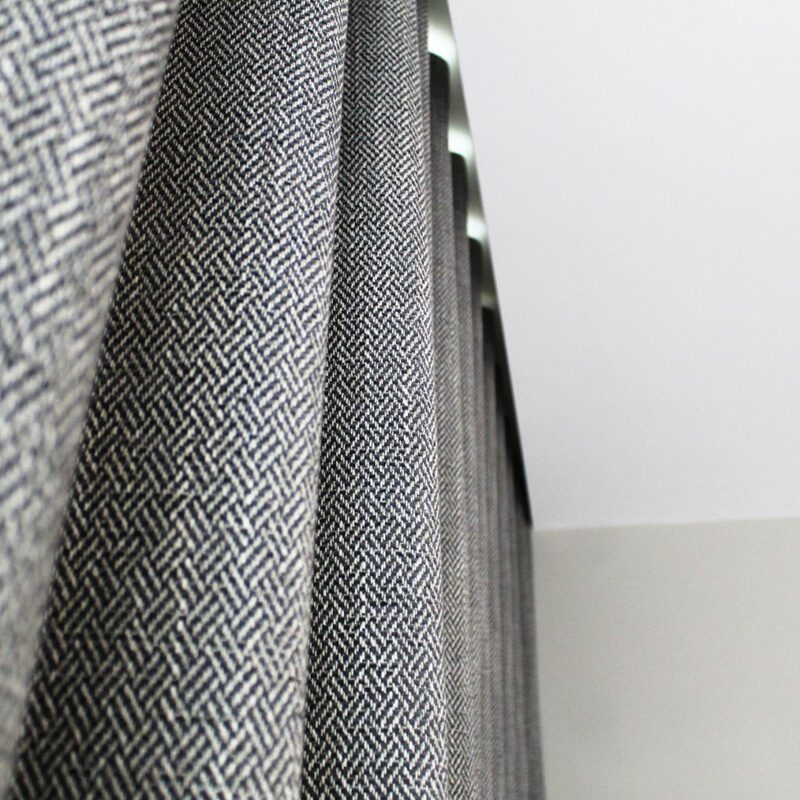 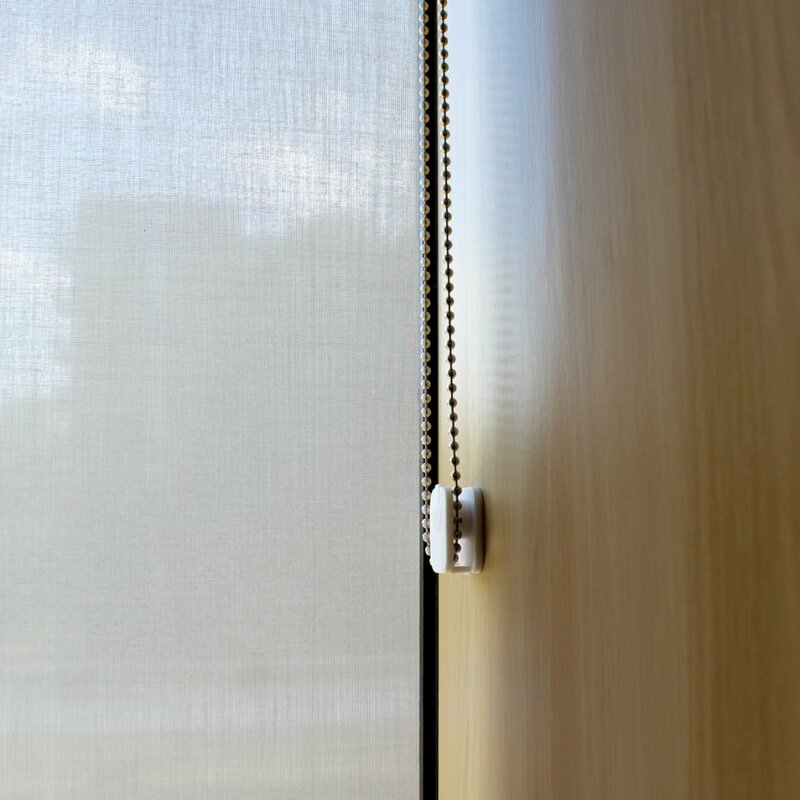 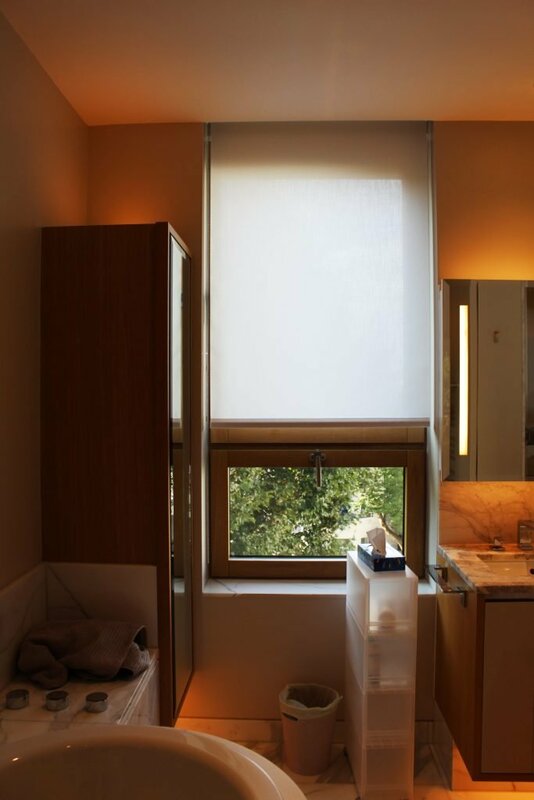 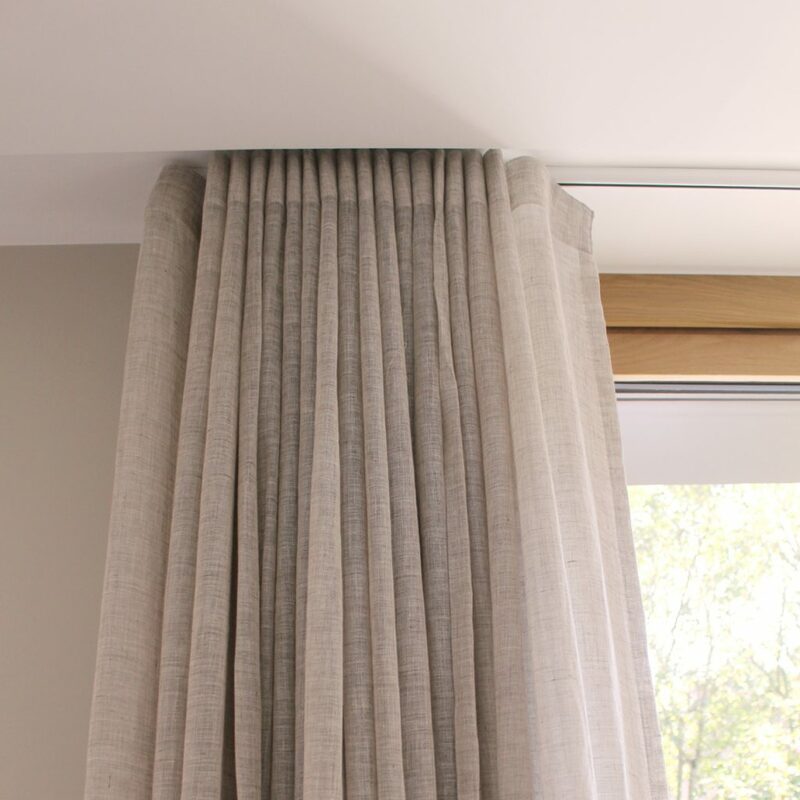 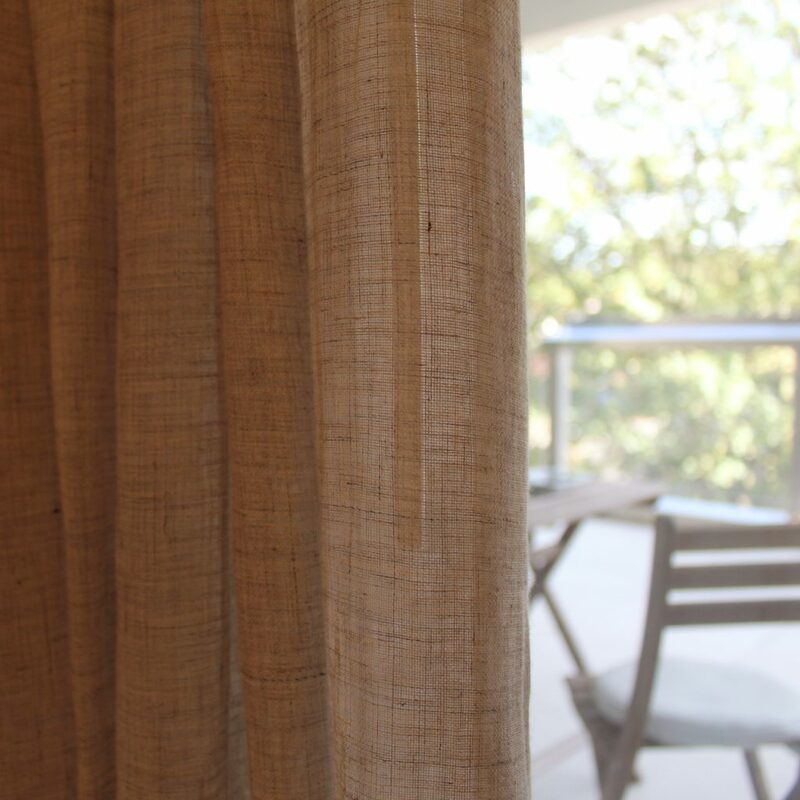 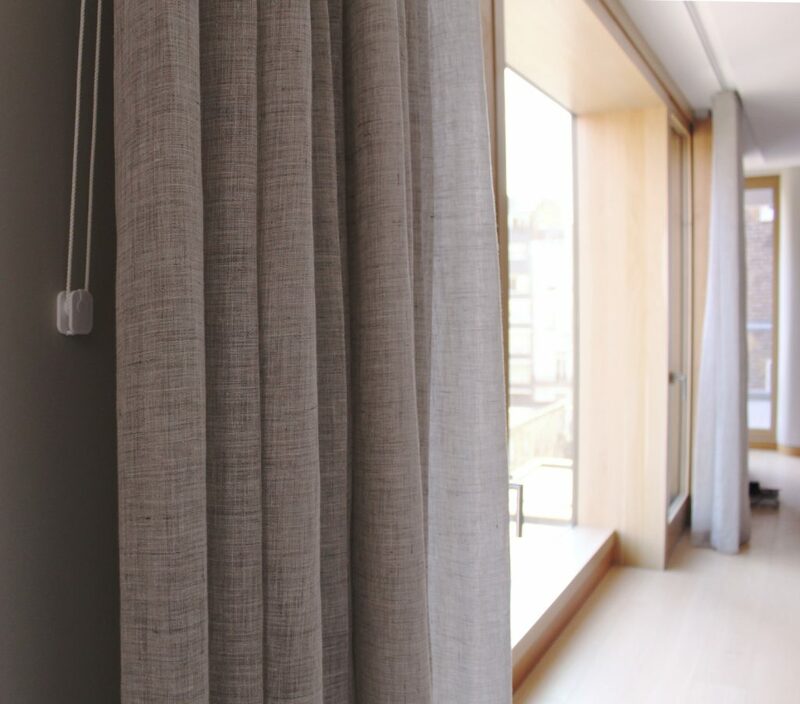 For shade and we did Blackout Lined Curtains using Bart Halpern Hounstooth fabric, which were hung on Silent Gliss 3840 Cord Operated Curtain Tracks. 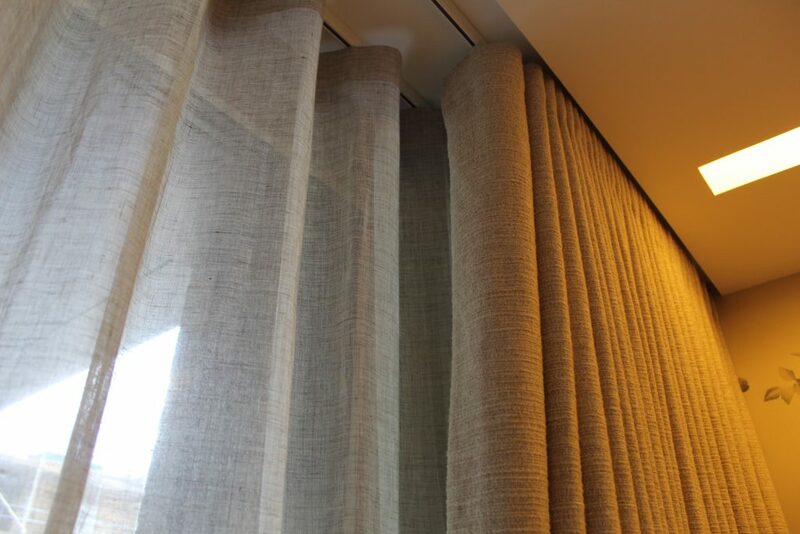 Furthermore, all curtains were 80mm Wave. 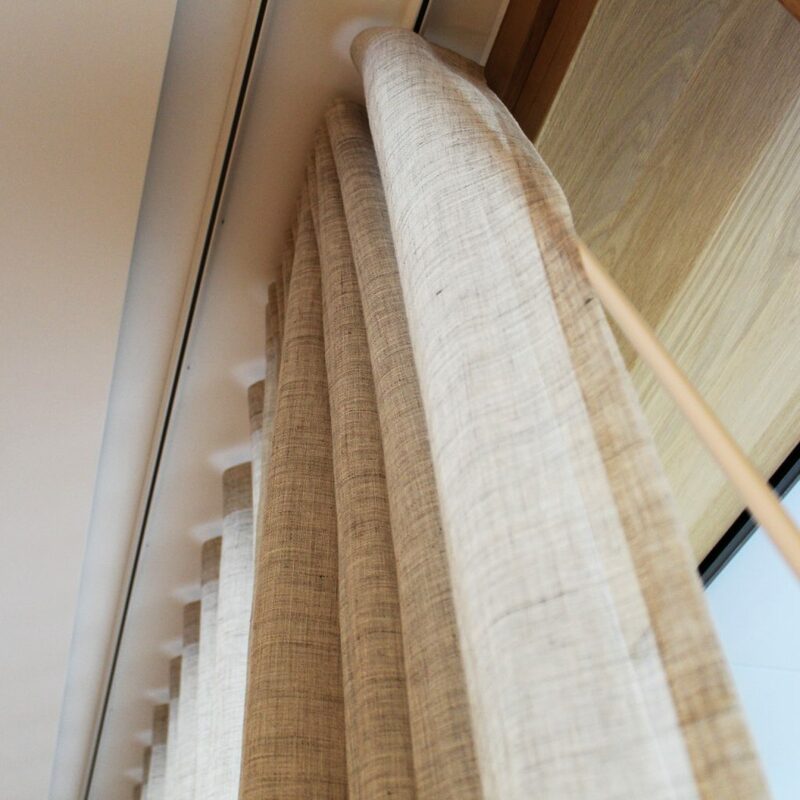 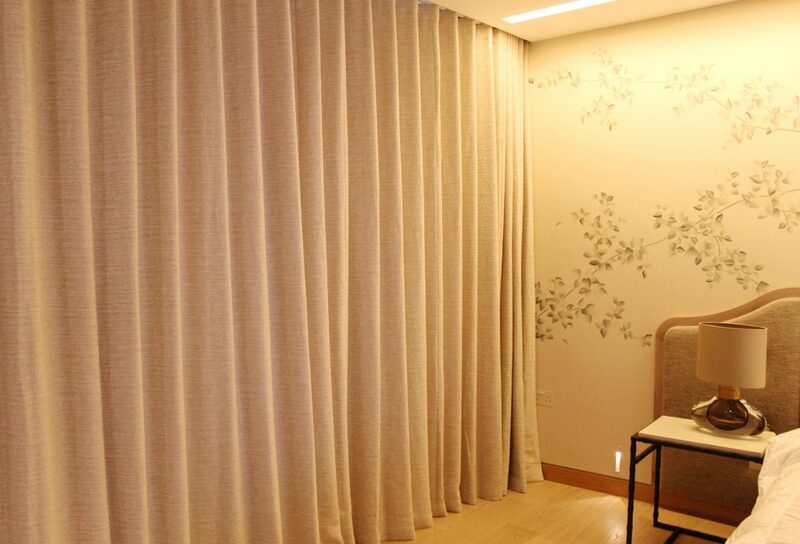 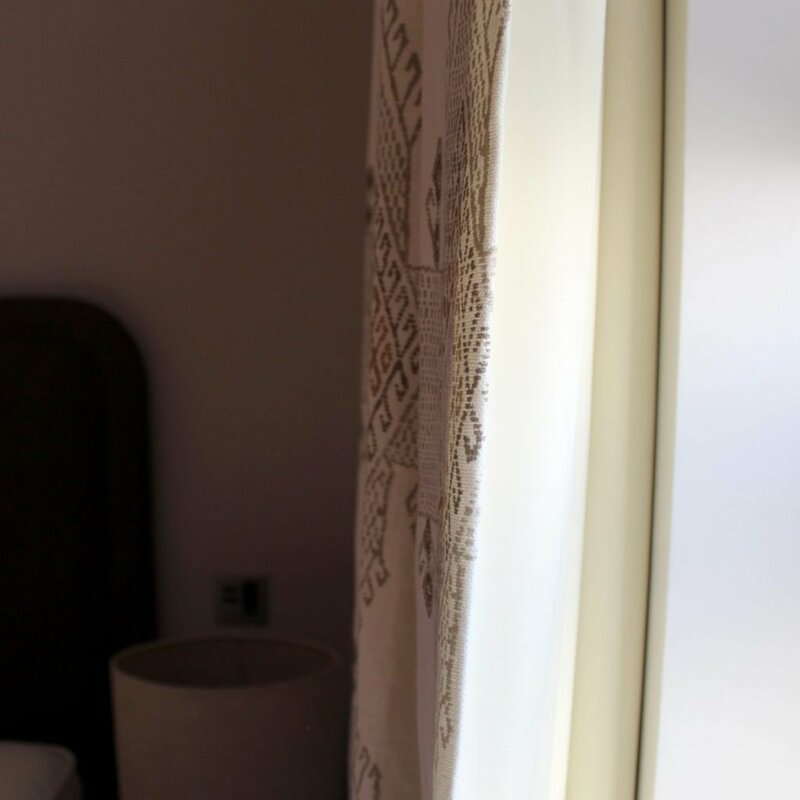 Because of aesthetics and usability, we fitted a Sheer unlined Wave Curtain in the Living room, in Lizzo Menes Fabric. 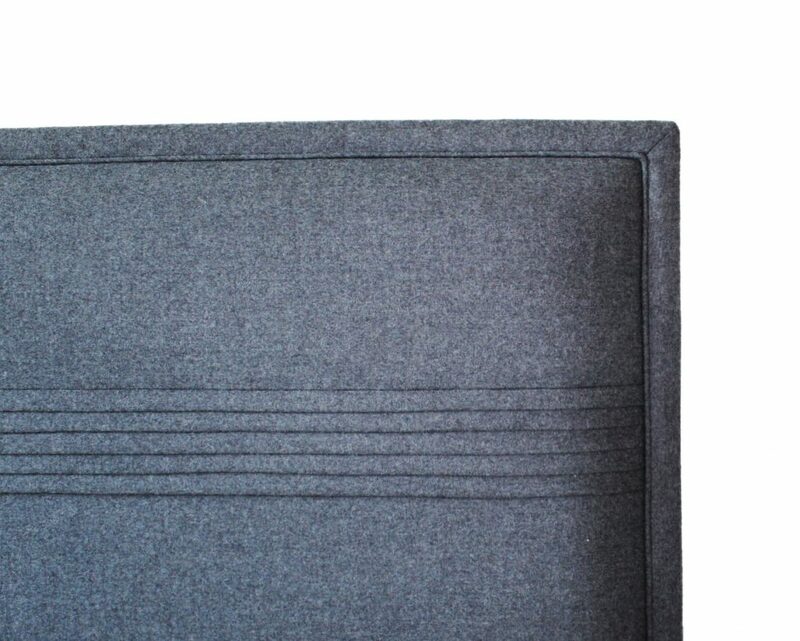 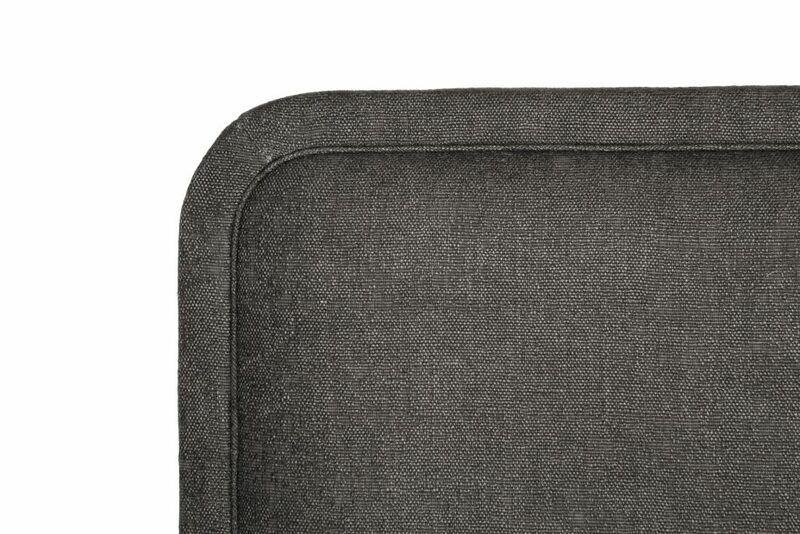 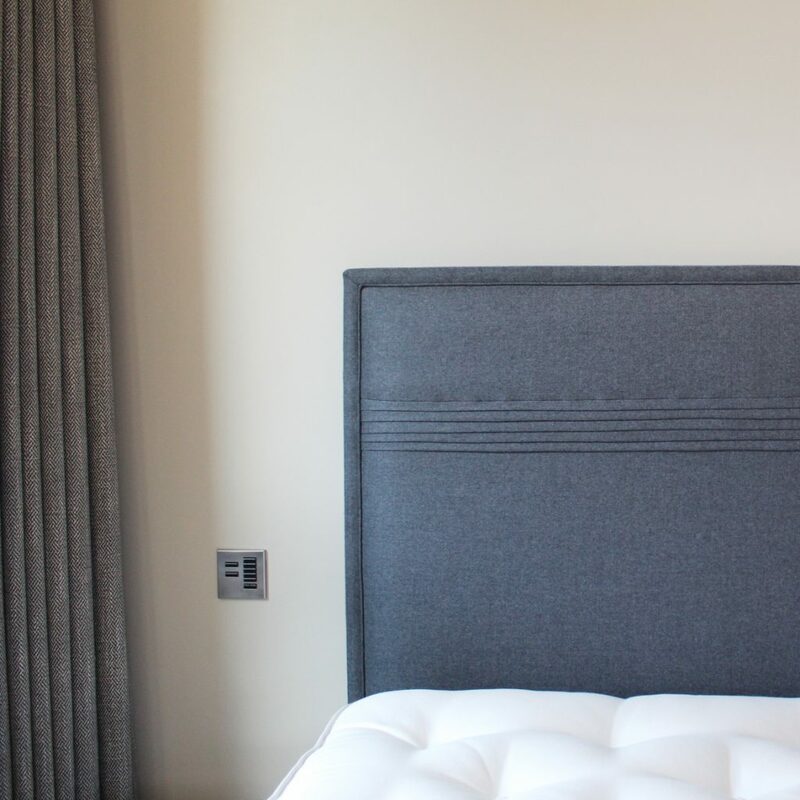 Finally, we custom-made and upholstered brand three new shaped headboards. 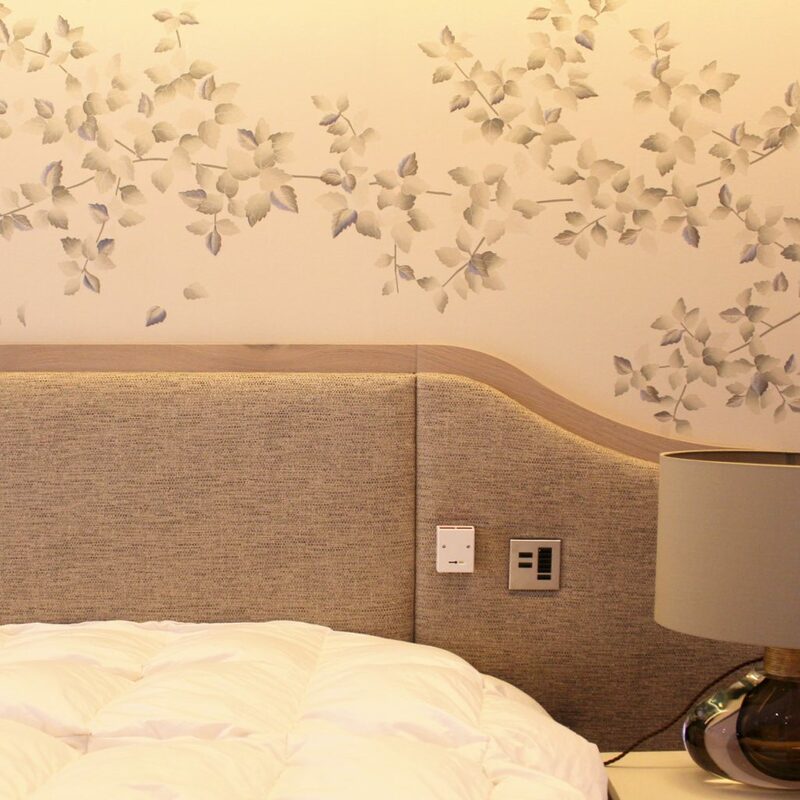 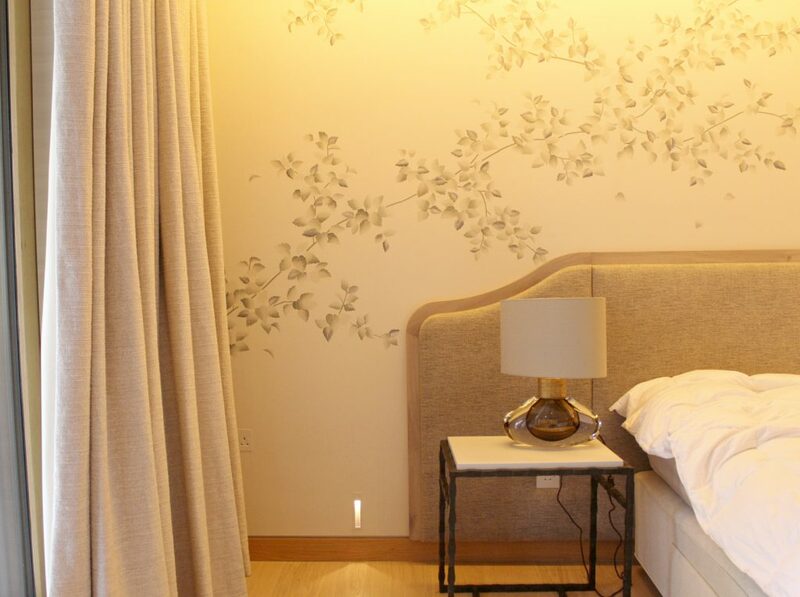 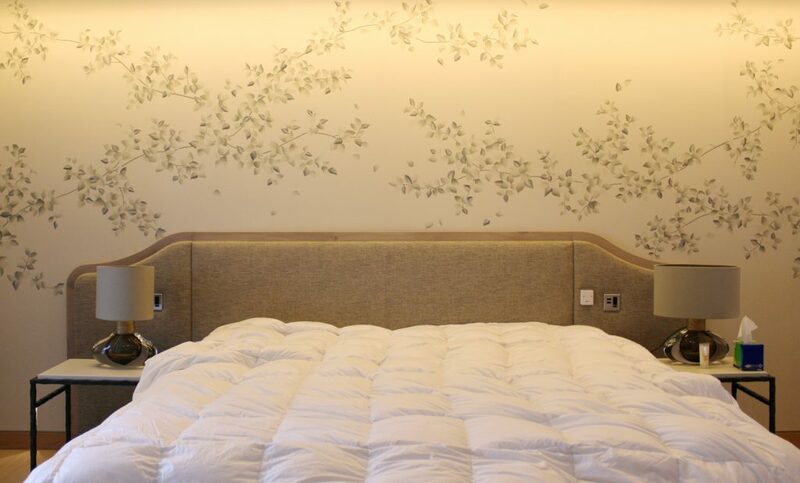 The largest headboard, installed in the main bedroom, was cut to precision to integrate power outlets and light switches at both sides of the bed. 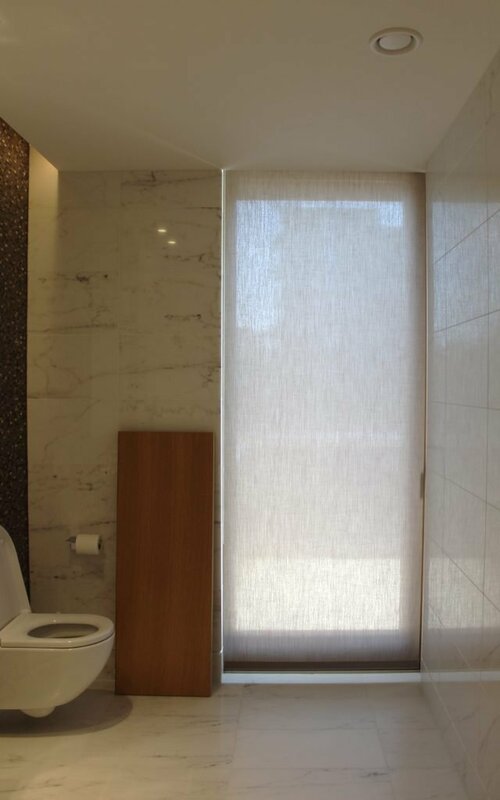 The project was completed in four weeks. 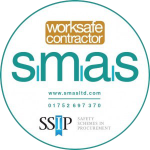 Need us to help you with your project? 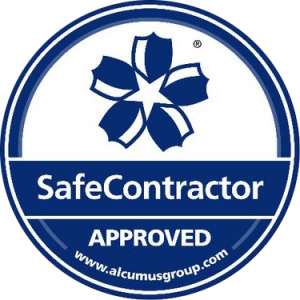 Contact us and we’ll assist you right away.